Screen printed apparel is a great choice for family reunions, school spirit wear, and other events. It allows bold images and colors for fun shirt designs. We have a huge selection of stock images – or we will print your custom design or photograph. Our products are made with the best quality and care and can last for years. Custom screen printing clothing is a great way to elevate your event, workplace, or school spirit, and can turn into a memorable keepsake throughout the years. We can also combine screen printing with rhinestones, spangles, glitter, and other effects to produce a truly custom design. Call us today for our custom services at extremely low prices! 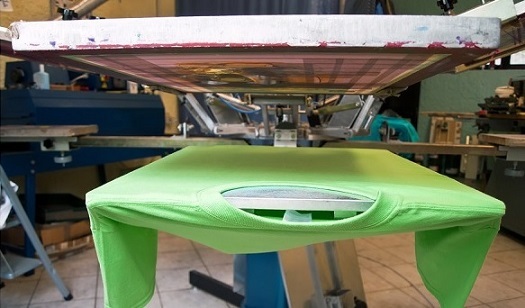 Commercial equipment allows for professional printed apparel – fast!